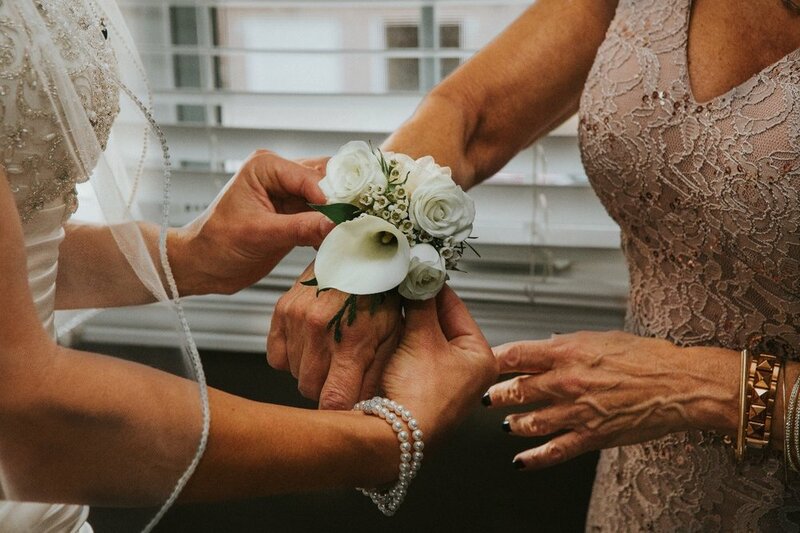 Since the tradition of weddings, the mother of the bride has been critical in the bridal party. Her dressing and accessories should be elegant and not match those of the bride or the bridesmaid. This gives her more confidence and recognition among the guests. However, there are do’s and don’ts for the mother of the bride dresses. Some of the factors include color, length, and fashion. The weather and location are also a contributing factor but, in this article, we break down to the most important factors to consider. The bride can spend months looking for the appropriate color theme for her wedding. The mother should wait until the daughter has established the right color. When it comes to choosing the dress, she needs to select a dress with a color that combines well with the bridesmaids. Her fashion may be different, but let it be standard. Her dress should be a class higher than the bridesmaids. This does not only show how sophisticated she is but also gives her command of recognition. The dress should be the most comfortable and appropriate length. The fashion also depends on weather and location. Strapless dresses may be a little uncomfortable for the mother, but an addition of a light jacket is acceptable. Communication is an effective tool during this period. The tradition, etiquette is the mother of the bride to select her dress first and later inform the groom’s mother. It is a kind gesture for the mother to call the groom’s mother informing her about her color combination. Such information will help you both to have dresses that do not crash. The bride may have a choice of dress the mother should wear. This can include the color shade and fashion. Do not say no to all of your daughter's ideas. If you don’t like something, say it in a soft way that does not hurt. If the mother is comfortable, she can go shopping with the daughter. There are mother of the bride dresses in stores that match the current age. You can break off and wear something casual other than the exclusive wedding dresses. When shopping do not specifically ask for mother of the bride wedding dresses, a request to see other formal or black tie gown will give you better ideas on what to wear. Shopping for the dress months before the wedding is advisable. This allows premium time for shipping and alterations if necessary. You will find a dress you love to wear, and it is comfortable. Make sure you select your dress when the bride has ordered the bridesmaid dresses. Keep off-white color not to steal the show. A variety of the mother of the bride dresses is available in many stores. You have a choice to buy locally or ship from a different destination. What you need to know is have your right size when shipping to avoid a lot of alterations when the dress arrives. When buying locally, fit the dress while at the store to get your correct size. Remember, sizes differ according to designers.